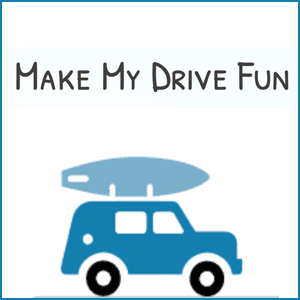 Make My Drive Fun shows you the best places to stop along your road trip. Long road trips can be daunting. When you’re driving on long, empty roads in the U.S., sometimes it seems as if the only place to stop is another lookalike small town with the same gas station and McDonald’s. 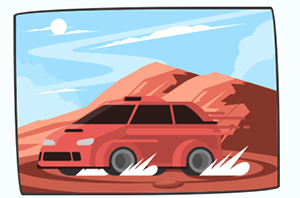 Make My Drive Fun is a site that does exactly what it says: makes road trips much more interesting by offering up “groovy places” to stop along the way. The site has an incredibly simple design and layout, and was created by a Canadian programmer named Zak. 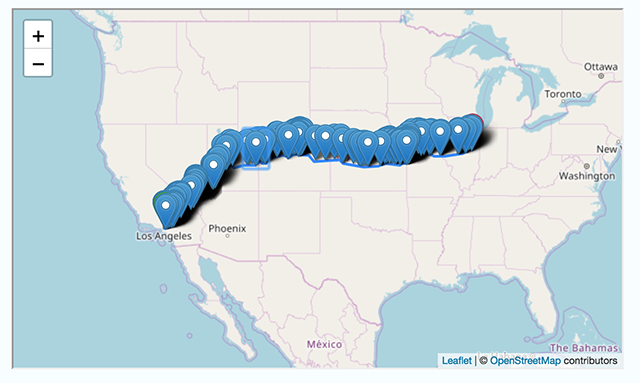 It currently only offers routes in the U.S. and Canada, but there’s a ton of awesome stuff if you have a road trip coming up in either of those countries. Make My Drive Fun works by having users type in their origin and destination cities. It then offers some details about the trip, such as the amount of miles traveled and the length of time it should take. It also details the amount of “funky attractions” along the route, and displays them visually on the map. It also displays them in a list format, with the distance from your origin city clearly indicated, below the map. There’s a lot of random, unique, fun, places to visit included on the site, from the National Atomic Testing Museum to a “Shoe of the World’s Tallest Man.” If you want to find the weirdest, coolest stuff that the backroads of the U.S. and Canada have to offer, Make My Drive Fun is a site you need to visit.